So Wikipedia tells me that the Reaction Engines Skylon proposal has been around for a very long time - how did I miss it? I guess the idea has heated up mostly since 2009 with the emergence of some funding. The new UK Space Egency/ESA report gives it another boost. It will still need a lot of funding, but Reaction Engines claims that it "will be able to repay its development costs, meet its servicing and operating costs and make profits for its operators whilst being an order of magnitude cheaper to customers than current space transportation systems." Here's hoping that all pans out (and that there's sufficient launch business to support this project as well as SpaceX and other private space ventures - so much depends on the costs-to-orbit they achieve). It would be really great to see a true space plane taking off from a runway, flying to orbit, and returning to the same runway - just like in the movies (and even without a pilot). This article clearly explains some of the hybrid engine challenges. The Wikipedia article explains some of the smart thinking that has gone into keeping Skylon cool and safe for reentry (cool enough to allow an integral ceramic skin to do most of the work, although active cooling will probably be needed for the wings).It will still land as a glider like the space shuttle - no plans to retain fuel and re-start the air-breathing engines for landing. I may have missed Skylon (until this very recent blog post), but members of the Orbiter community didn't and there is already a cool add-on version as well as some additional work based on that model. I downloaded the basic one by "inzane" and tried it out just a bit (mainly for screenshots). I wasn't able to make orbit on my first try - probably missed some steps in the instructions. Hey, it's new technology! It's also a very cool-looking 3D model. Although Skylon is an unpiloted launch vehicle (essentially a huge UAV with some serious autopilot smarts), there have been some studies on possible passenger capabilities, and the Orbiter add-on features a passenger module which is visible in the screenshot above. I posted a few more screenshots on my Flickr page. The 199th Carnival of Space is hosted this week by Weirdwarp. 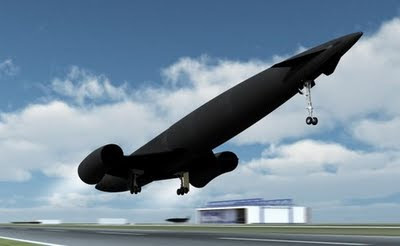 There are some really cool posts this week, but I was especially intrigued by the mysterious black Skylon space plane, which was reported by Next Big Future. This unpiloted SSTO (single stage to orbit) vehicle has been proposed by a UK company, Reaction Engines, Ltd. (Skylon press release here, PDF). The news is that an ESA report commissioned by the UK Space Agency concluded "no impediments or critical items have been identified for either the SKYLON vehicle or the SABRE engine that are a block to further developments." This is exciting stuff, the key to its possible feasibility being the SABRE hybrid air-breathing/rocket engine that would allow Skylon to operate like a jet airplane while within the denser part of the atmosphere, leading to an enormous reduction in the amount of oxidizer that must be carried. The report states that the current design has a gross take off weight of 275 metric tonnes, of which 220 tonnes are propellent, with the ability to place 12 tonnes into an equatorial low Earth orbit. This is something like 4.4% of the total which is pretty good, especially with a fully-reusable vehicle (the calculation for the soon-to-retire space shuttle is about 1.4%, not including the orbiter itself). The Reaction Engines site says that Skylon is in the "proof of concept" stage, with development estimated at 10 years. There are obviously a few technical issues to overcome (materials, for one, I would imagine), but it's great that ESA at least sees no fundamental showstoppers in the Skylon proposal. Now to get it funded! Reaction Engines estimates development costs of about $10 billion (this seems pretty cheap, even for an unpiloted vehicle). Bonus: finally a rocket ship that looks like one of Wernher von Braun and Chesley Bonestell's classic Colliers Magazine rocket ships from the 1950's! More or less. Check out the Skylon mission animation video. 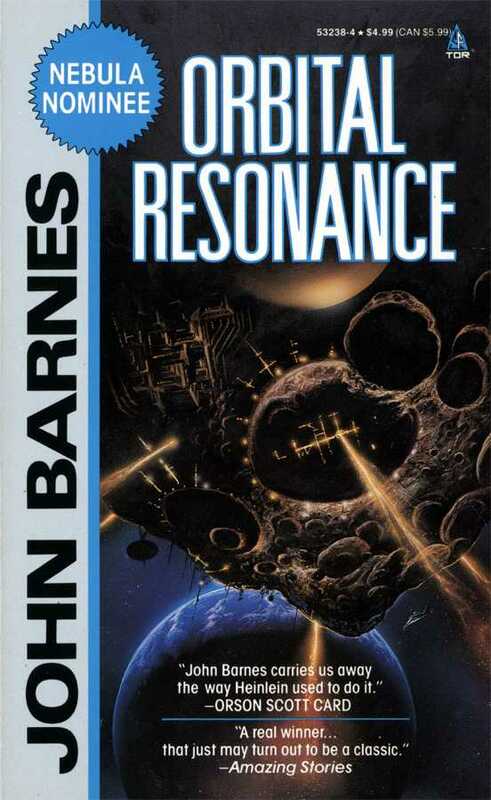 I recently re-read Orbital Resonance by John Barnes, one of my favorite SF writers. This book is part of Barnes' "Kaleidoscope Century" series about which I have written before. 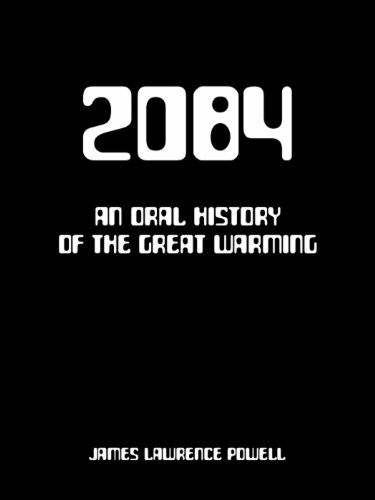 Written in the early 1990's, the series imagines an alternate near-future in which a series of disasters have devastated Earth in the early twenty-first century (names such as Tailored Rice Blast, mutAIDS, the Eurowar, and the Great Die-Off suggest the scale of Earth's troubles). Space flight has advanced sufficiently to allow construction of some off-planet "lifeboats" including several space colonies formed from captured asteroids and an embryonic terraforming project on Mars. These space activities can only include a tiny fraction of Earth's population, but they provide hope that humanity can survive even if Earth does not. And of course they have their own troubles. Orbital Resonance takes place aboard The Flying Dutchman, a huge space colony built and operated by NihonAmerica Corporation which is on a special "resonant" orbit that cycles between Earth and Mars, transporting cargo and colonists. The ship is largely self-sufficient and houses a permanent population of 7,200, most of whom have been born on the ship and are under 20 years old. Melpomene Murray is the narrator. Thirteen "ground years" old, she is one of these young ship-born members who know of life on Earth only from videos and from the stories of the parents. Space-ship engineering is quite important and advanced, but social engineering is equally important. While most adults manage to adjust to life in this confined, disciplined, variable-gravity environment, the kids have grown up on the ship, and their schooling and socialization have been tailored to help them cope and eventually take over from the adults here. They are the future. But has the social engineering been successful? That's the story of this book. Of course psychology is still not an exact science, and when a new boy from Earth joins Mel's class, the social balance is disturbed in various ways. Despite their impressive skills and knowledge, these are after all still adolescents, with all the hormonal and other issues that implies. Mel doesn't consider herself to be special (that's part of the team-oriented socialization process), but it turns out that she and a few of the other kids are special, with fewer of the social/developmental controls that have been placed on most of the kids. The adults are grooming them for leadership positions. But the kids don't especially like the ways they have been manipulated. I'll leave the rest for you find out if you choose to read it (as I have done three times now). Of course I love "space stuff" and there is plenty of it here, but the book is not primarily about space, nor is it primarily about Earth's disasters, though these form the essential backdrop for why this ship and its three sister-ships exist. 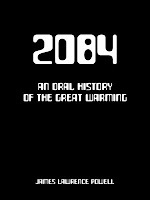 I read another book recently that is explicitly concerned with Earth disasters, a $1.99 "Kindle Short" called 2084: An Oral History of the Great Warming by James Powell. There's really very little about space or any other advanced technologies in this book. Its premise is that we do more or less nothing about human contributions to climate change (i.e., the path we are on now), and that due to various plausible feedback loops and uncertainties in the climate models, we end up with a 6° C (10.8° F) average temperature rise and a one meter (3.3 feet) average sea level rise by 2050. A variety of bad things ensue, many of them indirect side effects of climate change. They are told as "remembered anecdotes" by eyewitnesses to events that took place over many years. There are obvious ones like the loss of many of the world's low coastal cities (most of Florida's coastal cities as well as most of the Netherlands are lost, not to mention most of Bangladesh). Loss of water supplies devastates the US Southwest, sub-Saharan Africa, and many other areas and leads to wars over water supplies, including a nuclear war between India and Pakistan. There are so many mega-storms that they are no longer named, but numbered by year, like 2048-9, and a huge storm in 2042 inundates and destroys major parts of New York City. Most of the US mid-west becomes too warm and dry to grow wheat, while Canada's climate makes it the new breadbasket - and leads to invasion and war with the United States! This sounds implausible, but consider that problems with water, food, and immigration (huge numbers of climate refugees heading for Europe, USA, and other areas) have led to the rise of Fascist governments in many countries, including the USA. There's more - a total of 18 anecdotes in this brief, fictional "oral history." It's not the greatest writing (e.g., I was annoyed by the abundance of "local color" foreign expressions that the author inserted in most anecdotes, apparently to remind you that this was not an American "speaking"), but it is very thought-provoking. It is something of a worst-case, because although we can't be sure that technology will save us, surely some of the developments of today will help, with bio-engineered fuels and solar desalinization, for example. I'm not assuming space colonies (though I certainly favor an off-planet insurance policy for mankind), but lower cost access to space combined with robotic tech could probably lead to practical solar power satellites that would greatly help the energy supply - I'm thinking SpaceX Falcon 9 Heavy. Yes, Elon Musk will save us! I know he can do it. It’s been a long time between blog posts. Aside from work and family, I’ve had a bit of a rough time since discovering in March that I had gallstones. Gallstones are often small and don’t present any problems, but when they do flare up, they can cause a lot of painful symptoms. Things got pretty bad in mid-April and I finally had my gallbladder removed on April 26. It’s relatively minor laparoscopic surgery these days, and I was lucky to receive excellent care, but it’s still pretty distracting. I’m mostly back to normal now. As a still-aspiring-after-all-these-years singer-songwriter, I’ve always been a huge admirer and fan of Paul Simon. So I’m very excited that I will finally get to see him perform live at the Wang Center in Boston on June 1. I bought his recent album So Beautiful or So What when it came out in April, and I think it’s some of his best work, amazingly fresh and original -- so beautiful, and so what if he’s sixty-nine? There’s a wide-ranging interview with Paul in the April 2011 issue of Uncut Magazine (available online here). For all he’s accomplished, he comes across as incredibly modest and down to earth. He says, “Being a legend doesn’t mean anything other than that you’re old.” Perhaps it means a bit more than that in his case. I recently discovered the music of Paul’s son, Harper Simon. Actually it was hiding in plain hearing on my iPod, at least one song from a Paste Magazine collection, “Berkeley Girl.” I had heard it before but hadn’t realized who it was (though it sounds a lot like a Simon & Garfunkel song). I checked out the rest of his 2009 solo album and found a lot to like. Harper was 37 when he made this first solo album. I found an interview where he explained that he just didn’t have that much to say in his twenties, though he had played in at least one band and had done other musical projects. Although he doesn’t aim to be known as “Paul Simon’s son,” it’s pretty hard to avoid that connection, and coolly enough, his dad even helped out on a couple of the songs on the album. 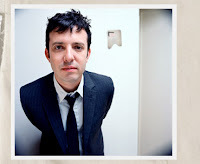 Much of the album was recorded in Nashville, and it does have something of an alt-country feel on a few songs (he also sounds a bit like Elliott Smith at times). He admired the playing of some of the Nashville session players on favorite albums from the sixties, like Dylan's Blonde on Blonde, so he asked around to see if any of them were still playing. Sure enough, some of them were, so he got them on his album. One guitarist happened to have also played second acoustic guitar on the original S&G recording of "The Boxer." Small world? Another recent find also involves the musical son of a legend (unfortunately not a living one). I occasionally search for my own music on Google, just to see what shows up. When I searched the other day for “Jardin du Luxembourg,” I found my album, but also a recent song with that title by Sean Ono Lennon. I quickly discovered a 2010 album by “Ghost of a Saber Tooth Tiger,” an acoustic duo made up of Lennon and his talented and lovely girlfriend Charlotte Kemp Muhl. Their songs are strangely beautiful, or maybe beautifully strange – ethereal vocals, fine harmonies, odd chord progressions and modulations. Good stuff. Check out their intimate and cute “Tiny Desk Concert” on NPR – Charlotte looks great, and Sean’s facial expressions look so much like his dad, it's kinda weird.